In the fast-changing world we all live today, knowing foreign languages is not a question of preferences, but rather a necessity. 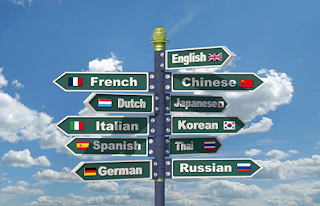 No matter whether you want to travel, or to launch your own business or even find a new job, you will probably be asked whether you know a foreign language. 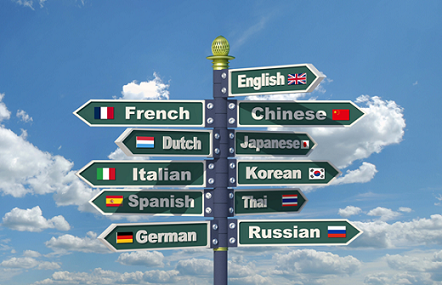 For people living outside of the English-speaking countries, it is essential to know English, while for those who have it as their mother tongue other languages might be required. Unfortunately, for a lot of folks out there learning a language is a complicated task, and they use all kind of reasons to excuse themselves from mastering it. However, the thing is once you choose a correct approach and opt for a good learning program, you can learn a language within the shortest possible time. Therefore, if you want to learn a language and want it to be not only a useful practice but also a fun activity, then read on and put our recommendations to action right now. One of the biggest problems and obstacles on the way to learning a new language is the lack of motivation and clear understanding why you are doing what you are doing. You need to set a clear vision of the ultimate goal. This will keep you going when you are tired or have no desire to add more effort to the language learning process. OS, if you want to get a new job, then you might want to specify why exactly you want and what perks and benefits this job will bring. If you want to go abroad as an exchange student or travel the world, then create a list of countries you want to visit as well as imagine all the positive emotions you will get after travelling the world. It is a brilliant idea to have a big picture in mind so that the next time you feel like you cannot learn another grammar rule, the picture you have in mind will keep you on track. Start with this and move on to our more practical tips on the language learning process. Of course, you will have lessons and a lot of reading time. But you should add some screen time too, especially in case you feel like you got stuck and are willing now to get some rest and let your mind catch a break. We think most of our readers will agree that not only watching movies is fun but also your brain gets more energetic when it switches focus and relaxes for some time. Choose some good movies in the language you are learning, as while watching it you will have a chance to see real people using this language in their daily routine, see correlation of the written words and their pronunciation, and learn how to comprehend what you hear. If you have a chance, you should always watch movies with subtitles, as then you will be able to pause it at some point to take notes and remember separate words. Watch it with a friend so that you can exchange ideas and thoughts and ask each questions if assistance is needed. You might not always have time to sit down and work hard on the text. So, sometimes it might be a good idea to listen to the music in the target language while you are working on a different task. Your brain can really do magical things even if you think that it is not focused on the music. But somehow you tend to develop a habit of distinguishing words you hear and breaking long sentences into smaller parts. Besides, the music will give you a feeling of the culture and help you dive into it completely. You can also listen to the news in the target language. It will be wonderful if you could have the script before you to ensure that you get the idea of what they are talking about, but even without the script, you should listen to radio to get the ear for the language in question. So, the third idea is to listen to the music. Here, you should be creative. There are plenty of things you can try to practice your writing skills, and one of such things are writing letters to your friends. Study this question to understand the principles of writing the letters in the language in question and learn the basic grammar rules to be able to communicate your thoughts clearly. But even if you feel like you lack the knowledge or do not have the confidence to write in the language, push yourself to the limit and go for it. There are many resources you can use for this matter online, so you will have no problem when looking for help with writing term paper or a letter. Besides, there are communities for people who are learning different languages. They often exchange ideas online, and text each other on a regular basis. So, we recommend you looking for people to practice writing with. You should always seek an opportunity to practice the language with those who are fluent in it. Do not be afraid to look ridiculous, as at some point we all do. You should overcome that barrier and start talking. Look at children that only learn to speak. They make a lot of mistakes, but it does not make them stop from learning. They simply continue, and so should you. You need to step over the fear you have and act like a child that humbly accepts the correctios and lets his parents teach him how to say things right. So, be proactive and find the native speakers to practice your language skills. Who knows, maybe one day this will turn into a strong friendship? But for now, at least seek their patient help with your speaking. See? If you break down the process of learning languages into smaller parts, you will see that it is not as hard as some people think it is. You just need to immerse into it and use any possibility you have practice it. Do not be afraid to speak and look silly, and be humble when people correct your grammar. Finally, make the most out of the time you have when you cannot study actively and turn the music on in the background or turn the radio on. What are your secrets of mastering a foreign language? We would love to hear your suggestions too! So, do not hesitate to share! Christina Battons is a blogger and freelance writer, who researches and writes student-focused content. As a trained and published writer, I love discovering new ways to use my writing as a tool to further the education of others. You can find me on Twitter and Facebook.